What we're all about video. 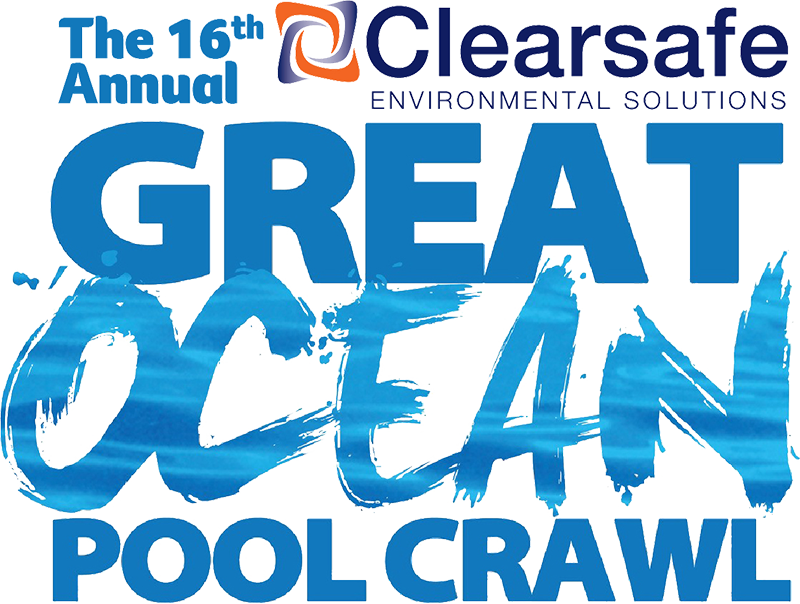 The Clearsafe Environmental Solutions Great Ocean Pool Crawl is locked in for Sunday 3rd March, 2019 for the 16th year! We want your support and involvement to make this day a bigger and better success than last year's! The fun day begins at the Towradgi Park Bowls & Recreation Club for a 8:00am registration. If you have already registered online you still need to confirm your attendance and receive your shirt and reserved ticket for the bus. After registration we'll jump on the free courtesy buses that will take us from pool to pool (Approx 9:00am). 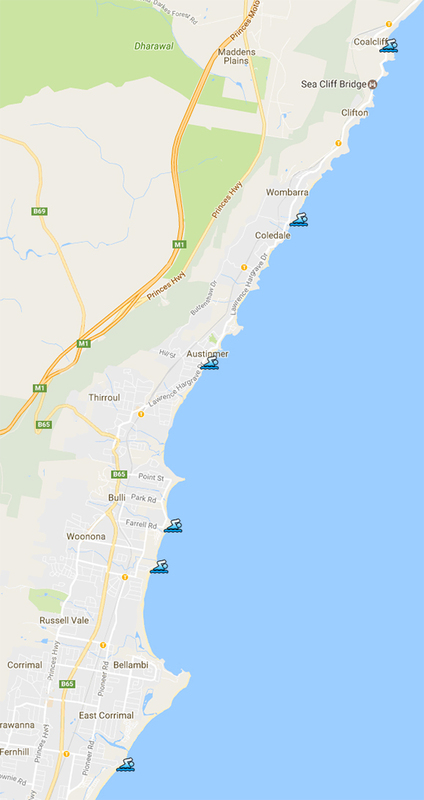 If you wish to drive to each pool yourself you can follow us (but it's much more fun on the buses) and meet us at the first pool (Coalcliff) for a 9:30am start. We'll enjoy 2 laps in each rock pool before heading onto the next. On completion of the 6th pool (Towradgi) we will make our way back to Towradgi Park Bowls & Recreation Club for entertainment (Approx 1pm), prizes and some yummy lunch! If you wish to support us by being a photographer/videographer on the day please contact us and express your interest. A life saver and first-aid officer will be in attendance for the entire duration of the day. Any extra swimming accessories you can think of (goggles, swim caps, floaties, kick-boards, flippers) - be creative with your attire, you could win Best Outfit! We believe that we can and will beat cancer. There are things that we can all do every day to help make this happen. Every year in NSW alone, more than 36,600 new cases of cancer are expected to be diagnosed, and the impact on families, carers and communities is significant. Together with out volunteers, supporters, stakeholders and staff, we are committed to reducing the impact of cancer on individuals and the community, and to lessening the burden for people affected by cancer. Cancer Council NSW is an independent charity and 96% community funded. Our unique combination of local program delivery, community engagement and national influence enables everyone who cares about cancer to make the biggest possible difference.